"Our investigators will be pleased to have a chat with the terrorists." The Security Service of Ukraine views the plans of MP Nadiya Sachenko to bring the leaders of "L/DNR" to Kyiv as a nice opportunity to question them. "Let them come, we have a lot of questions to ask. Our investigators will be pleased to have a chat with them," SBU spokeswoman Olena Hitlyanska told LB.ua in a comment on 30 December. "Savchenko is also welcomed to come and talk with our investigator as a witness in the criminal proceedings on the creation of terrorist organizations," she said. On 29 December, MP Savchenko said she was planning more meetings with the leaders of the leaders of "DPR" and "LPR" Zakharchenko and Plotnitskiy. She said she expected that first meetings will be held in Donetsk and Luhansk, and then in Kyiv. 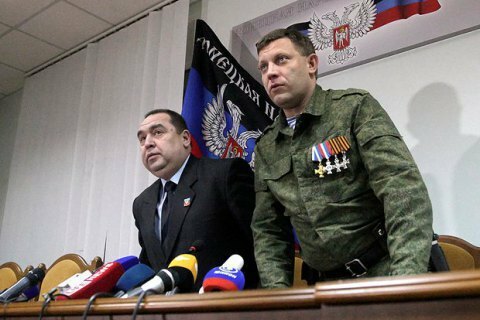 On 7 December, Savchenko had a secret meeting with the Donetsk and Luhansk separatist leaders in Minsk. After that Savchenko was excluded from the faction of Fatherland, and then of the delegation to the PACE.